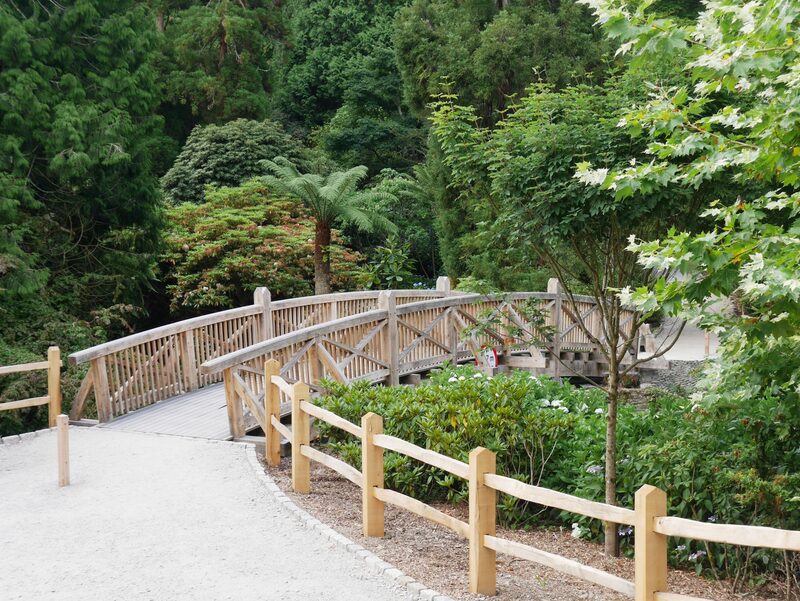 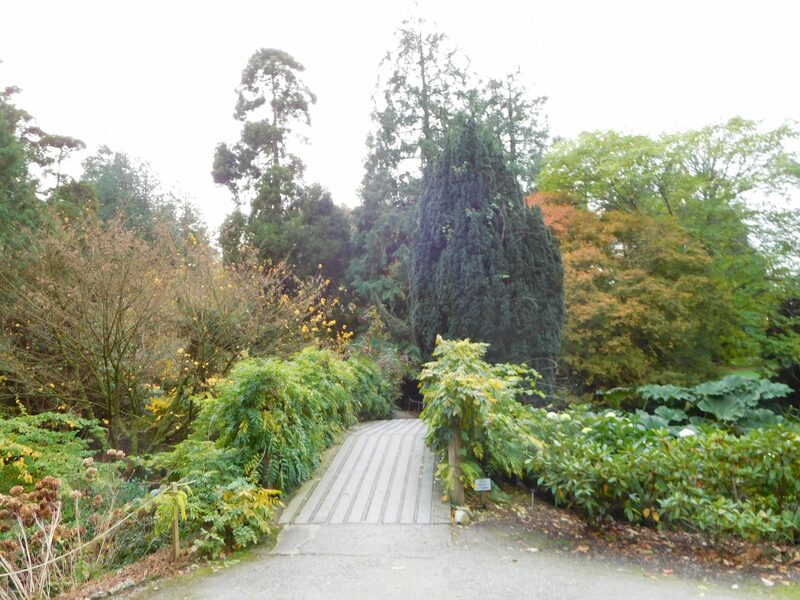 Trelissick Garden is on the Historic England register of Historic Parks & Gardens. 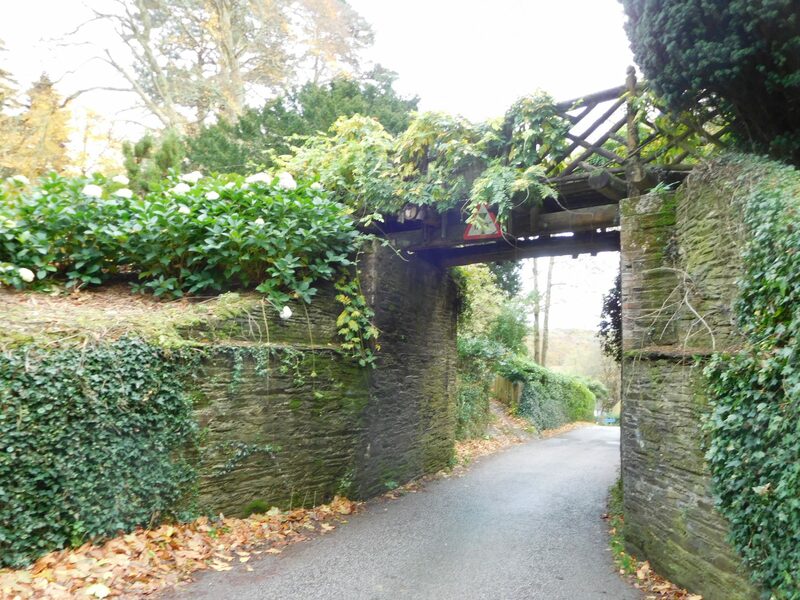 The garden is divided by the B3289 road that leads down to the King Harry Ferry. 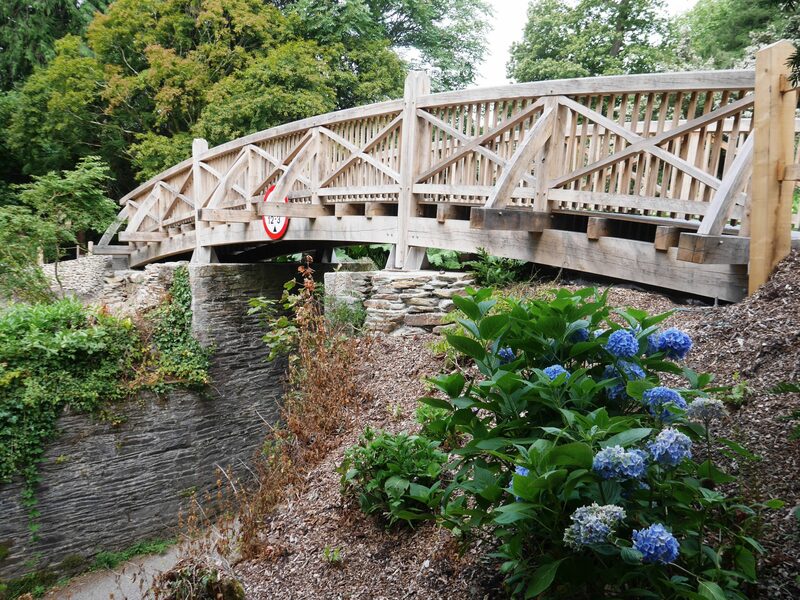 A pedestrian bridge has been in this location since 1896. 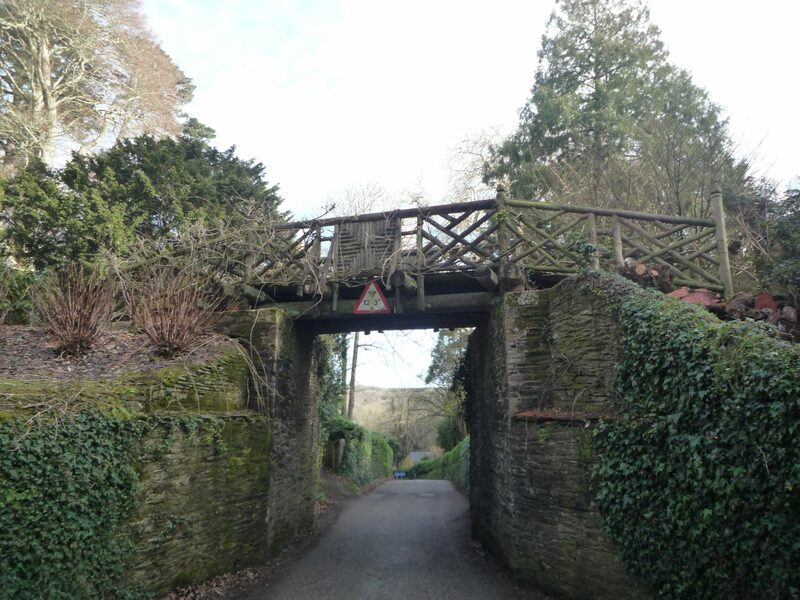 The poor condition of old timber bridge constructed in 1987 meant that a replacement was inevitable as repairs would become more costly over time. 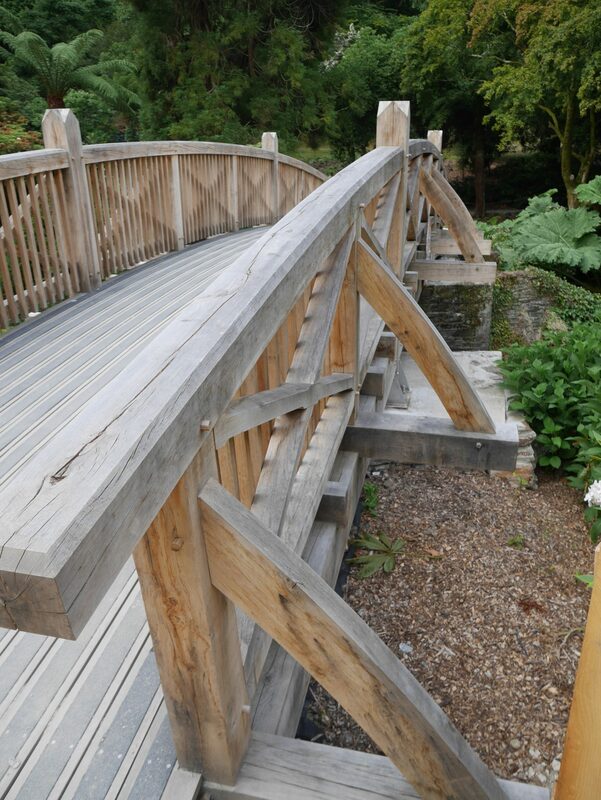 The new bridge has been constructed of hardwood timber by local craftsman Tom Beer and installed on the existing masonry abutments. 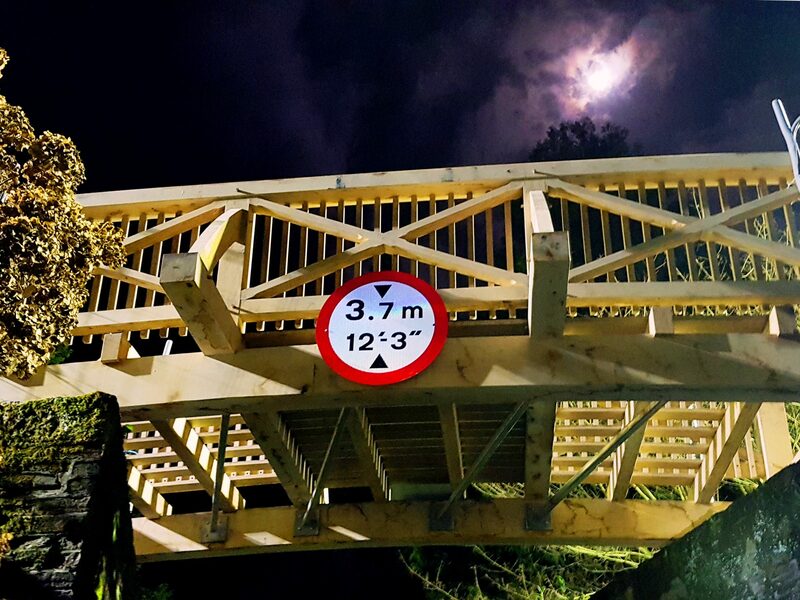 Along with structural design and setting out of the new bridge, we provided listed building consent and highways consent as the new bridge required to be structurally designed to withstand high-sided vehicle impact. 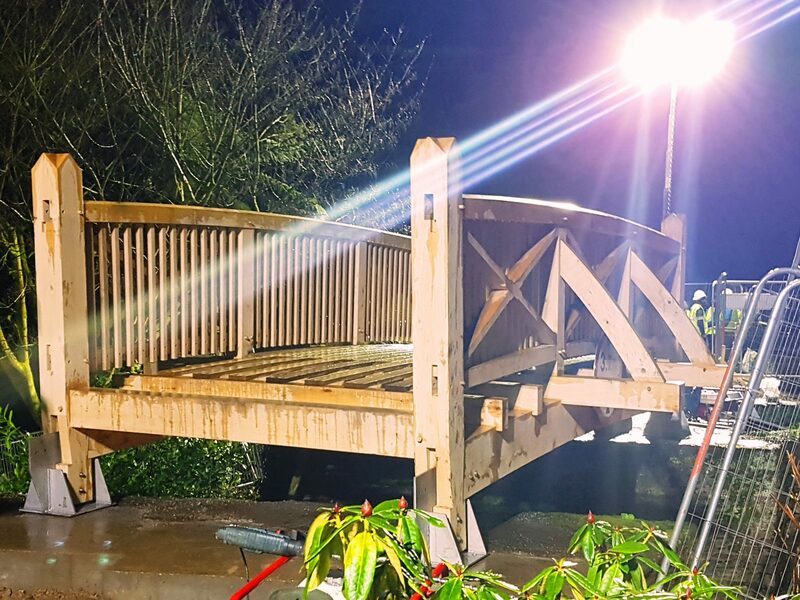 The old bridge was removed and the new bridge installed in over two separate nights to minimise road closures to the King Harry Ferry.